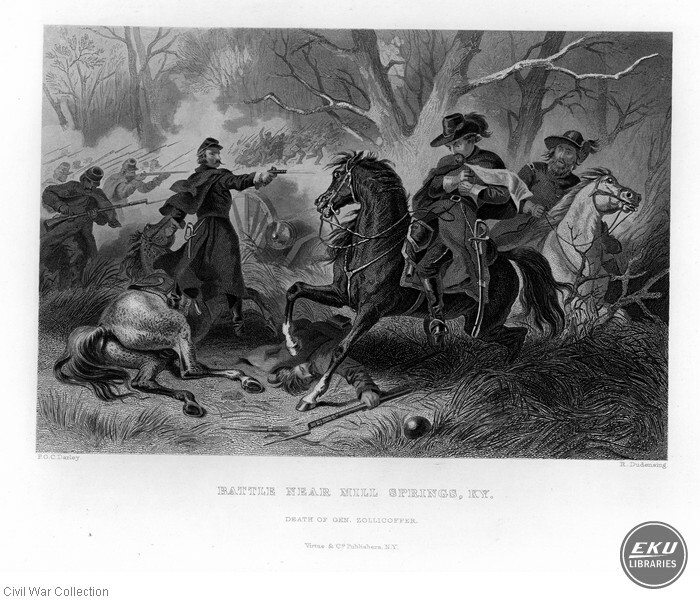 Battle Near Mill Springs KY, "Death of General Zollicoffer" (1862) CSA General. Virtue & Co. Publishers, NY. Darley, F.O.C., R. Dudensing, “Felix Kirk Zollicoffer,” Digital Collections, accessed April 24, 2019, https://digitalcollections.eku.edu/items/show/13736.